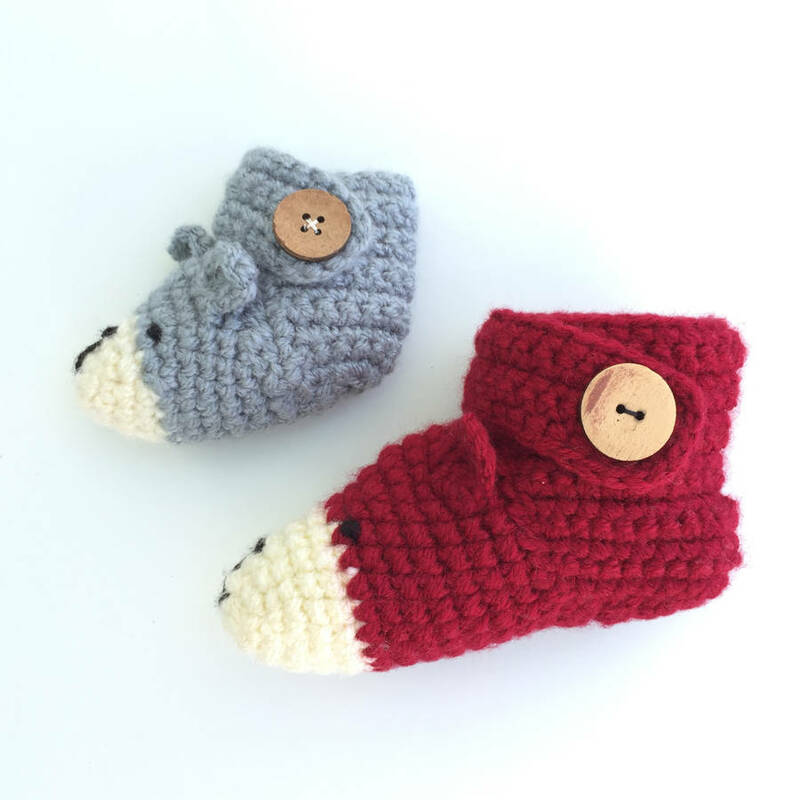 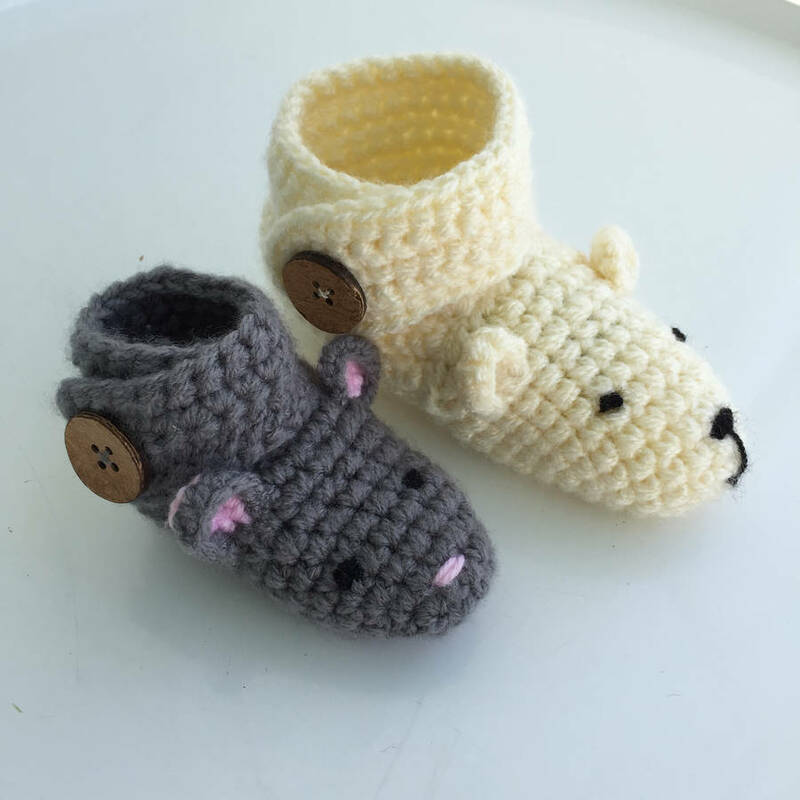 Handmade animal character booties for baby and child. 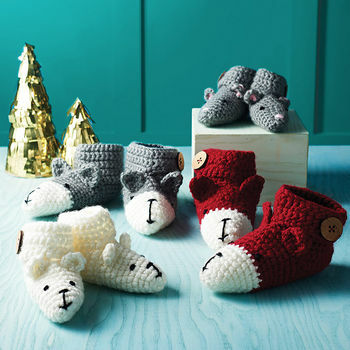 These little forest creatures will put a smile on everyone's face. 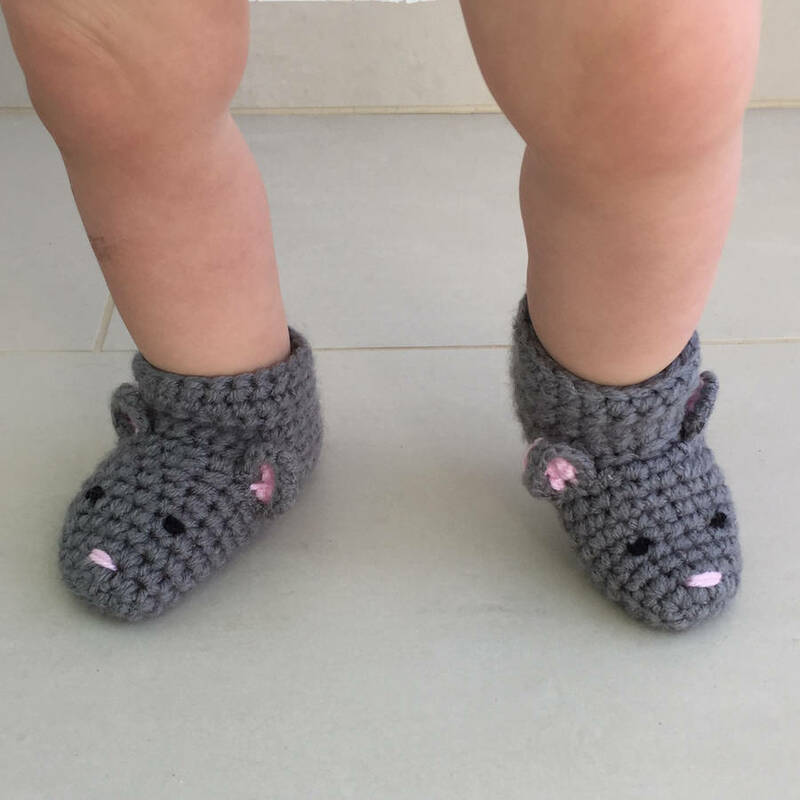 These cute handmade animal character slippers come in two sizes: one for babies and one for children. 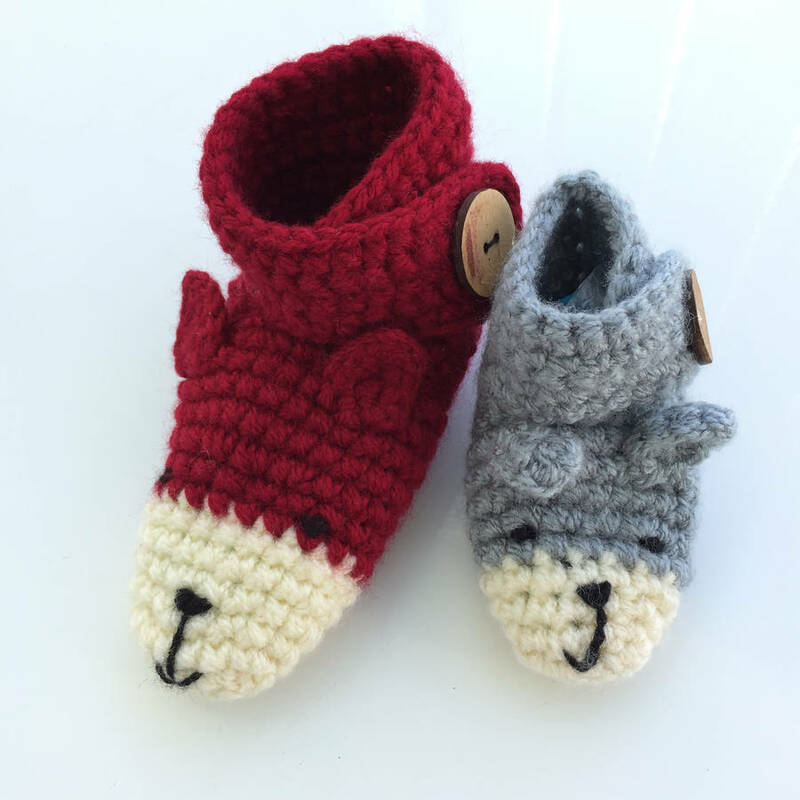 Our collection also includes an Animal Character Slipper Sock for adults-- please click 'see sellers complete range' to see those. 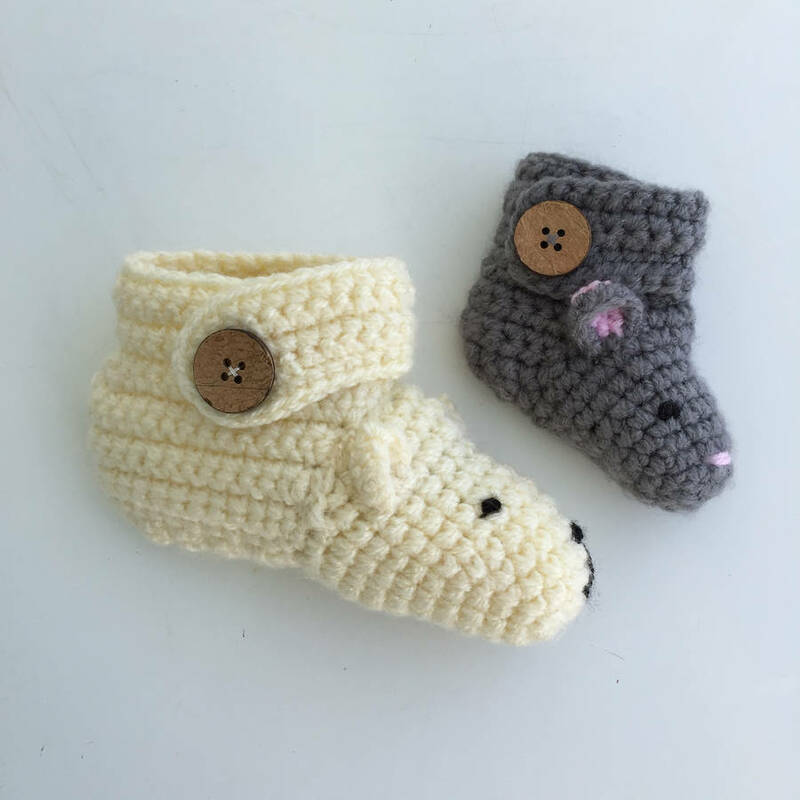 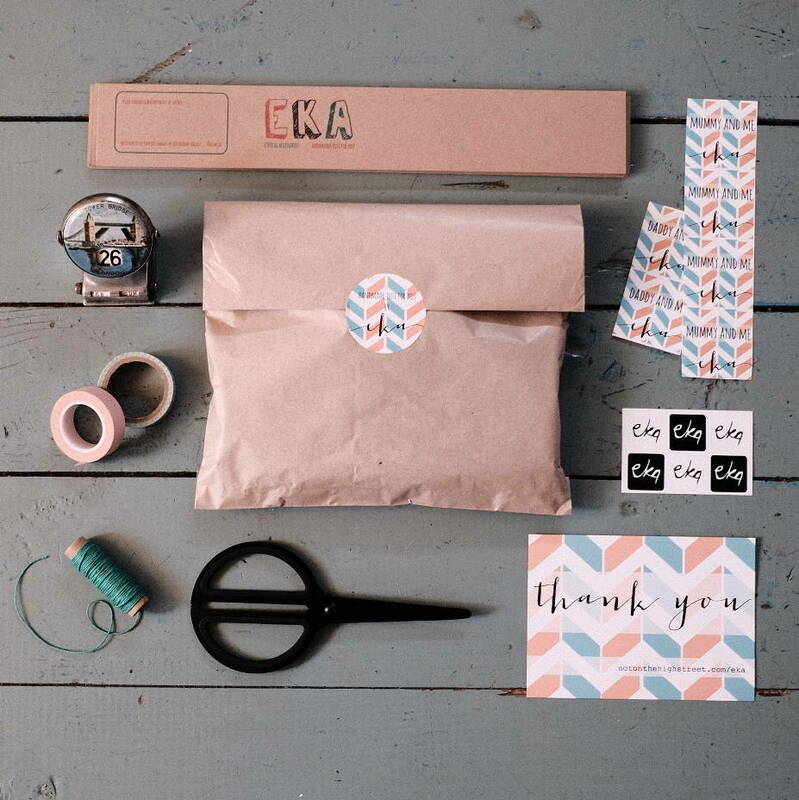 Perhaps you would like a 'Mummy and Me' set, a lovely gift for a new mum. There are four animal charcters to choose from: Fox (dark red with cream noses), Wolf (grey with cream noses), Polar Bear (cream) and Mouse (grey). 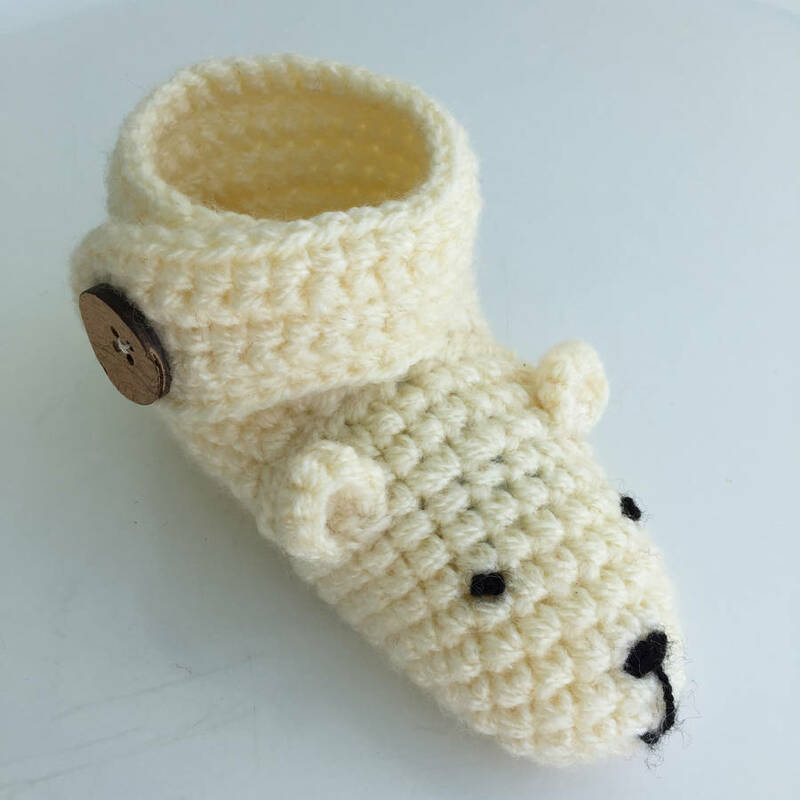 Hand made using acrylic yarn. 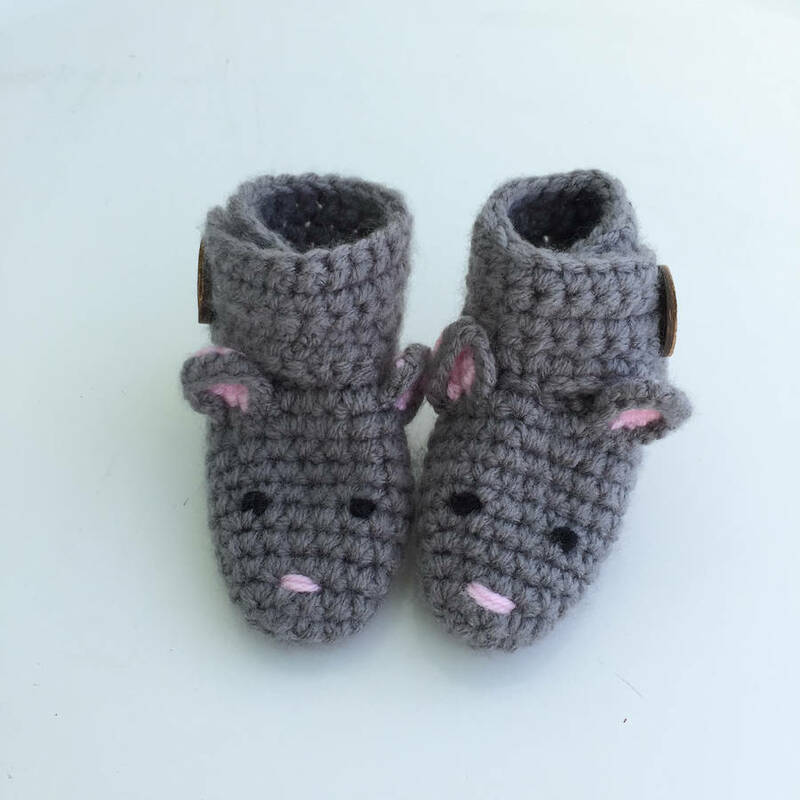 Please hand wash these booties and then dry on a flat surface.